After enjoying successful exploits in the United States, young talent Cameron Smith will make a return to Asia for the US$650,000 Mercuries Taiwan Masters, which starts this Thursday. The 22-year-old Australian will headline an international cast of players from 22 countries, who include Singapore’s Mardan Mamat, local hotshots Chan Shih-chang and Pan Cheng-tsung, Thai veteran Thaworn Wiratchant and Antonio Lascuna of the Philippines, at the challenging Taiwan Golf and Country Club’s Tamsui course. Smith was crowned the Rookie of the Year last season after finishing fifth on the Asian Tour Order of Merit thanks to seven top-10s. He made a name for himself with an impressive tied-fourth finish in his US Open debut earlier in June and earned a spot in the PGA Championship two months later where he came in tied-25th. “The course is looking good. I thought it held up pretty good after being swept by Typhoon Dujuan on Monday. I was just trying to play my best out there last year. I hope to do the same this time round,” said the young Australian, who enjoyed a tied-sixth finish in the event last year. Fresh from a well-deserved rest back home in Queensland, Smith will continue his chase for a maiden Asian Tour win and boost his chances of qualifying for next month’s CIMB Classic by remaining inside top-10 on the Merit rankings. “It’s nice to be back, especially after a great season last year. It’s good to see the guys out here again and catch up with them. Hopefully a good result this week will boost my chances of qualifying for the CIMB Classic,” added Smith. 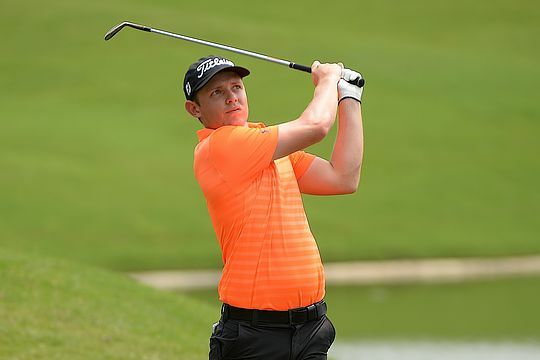 Like Smith, Mardan is also hoping for a good showing at the Mercuries Taiwan Masters to help him break into top-10 on the Merit rankings to qualify for the prestigious CIMB Classic. Other notable players include China’s Liang Wen-chong, Prom Meesawat of Thailand, Filipino Angelo Que, Indian duo Arjun Atwal and Rahil Gangjee, as well as local prospects Lu Wei-chih, Lu Wen-teh, Lin Wen-tang and Hsieh Chi-hsien. Players will be vying for good showings at the Mercuries Taiwan Masters to boost their chances of qualifying for the prestigious CIMB Classic and WGC-HSBC Champions. As of October 26, the leading four golfers from the Order of Merit will earn starting places in the US$8.5 million HSBC Champions in November while the leading 10 players will qualify for the US$7 million CIMB Classic at the end of October.